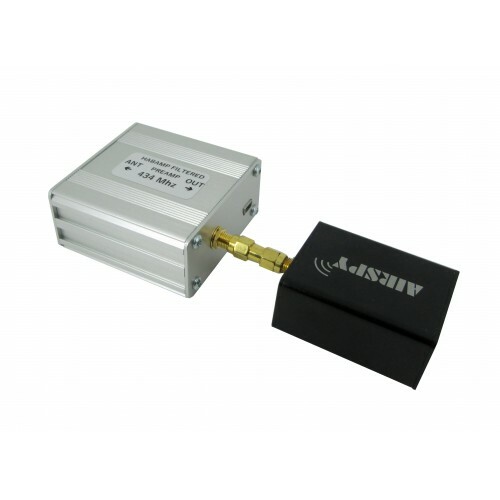 Uputronics filtered preamps for improved ADS-B Reception. We have two types of filter for ADS-B. The standard SAW based units are cost effective and give excellent performance gains. The ceramic based units give exceptional out of band attenuation if you have particularly strong local signals below 900MHz and have a little more gain as well due to the very low insertion loss of the ceramic filter. All our preamps are compatible with most USB SDR Dongles such as the RTL USB, Airspy, Fun Cube. You can power them from either bias tee (This item is 100% compatible with the Airspy bias-tee) or a simple USB minicable (Not Supplied). Bias tee/USB voltage is 5V max unless the optional (see related items) LDO kit is fitted which takes the bias-tee voltage input range from 5V to 26V (USB remains 5V). This unit is a small filter and preamp designed to go between a software defined radio receiver and an antenna. Using a SAW or ceramic bandpass filter and a low noise amplifier (LNA), it stops out of band intermodulation while providing additional gain for increased sensitivity. The LNA is before the SAW filter. 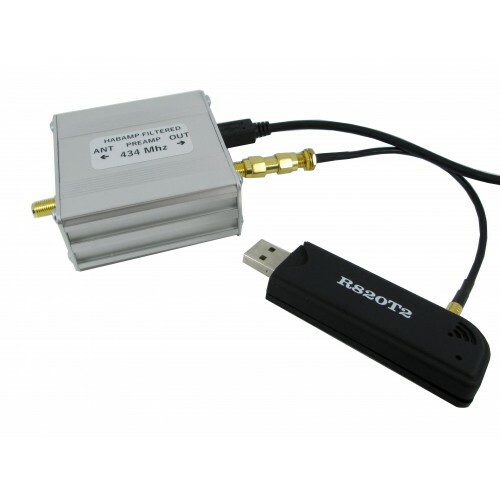 This particular model is tuned for use with ADS-B frequencies (1090MHz). The LNA used is a MiniCircuits PSA4-5043+ which provides at least 16dB of gain @ 1090MHz. 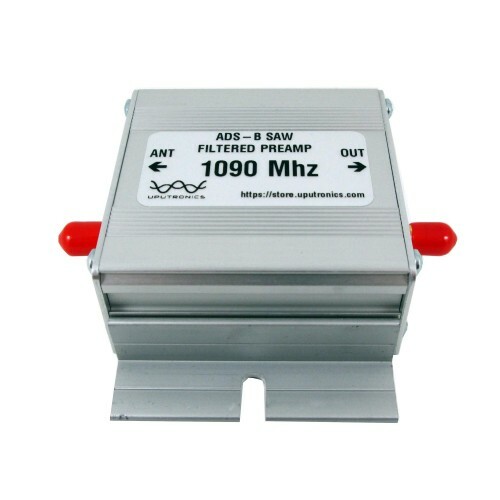 To stop out of band intermodulation a 1090MHz SAW (Standard) or Ceramic (Optional) bandpass filter is fitted. 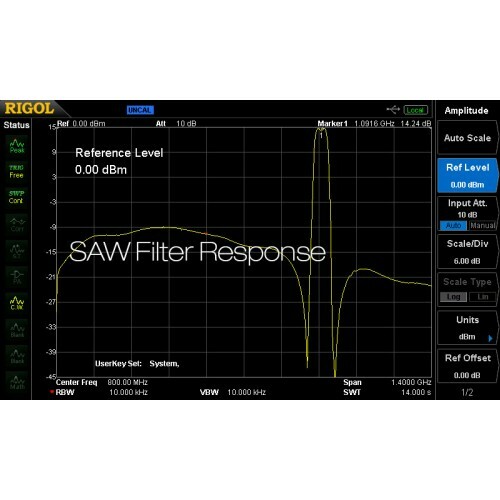 The insertion loss of this filter is approximately 2.3dB, which does increase the overall noise figure of the unit to 0.75dB. 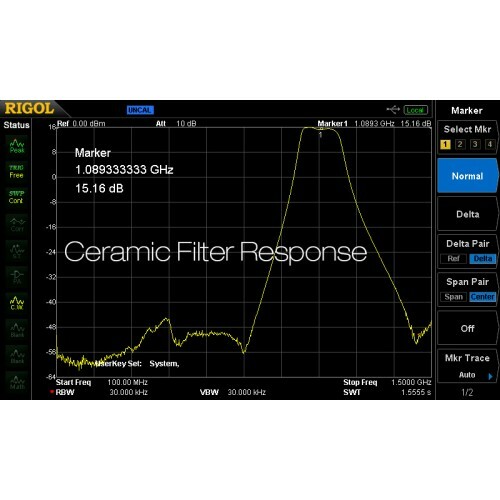 The ceramic filter has an insertion loss of approximately 1.5dB, which means the overall gain of the unit is at least 15dB (SAW at least 14dB). Connectors are SMA female both sides. Pair of lugs for our filter cases. These slide in the grooves on the side allowing the filters to be.. This is a SMA Male to SMA Male coupler suitable for connecting our preamps to an software defined.. This is a female SMA end launch jack suitable for soldering onto the edge of a PCB.Impedance :..